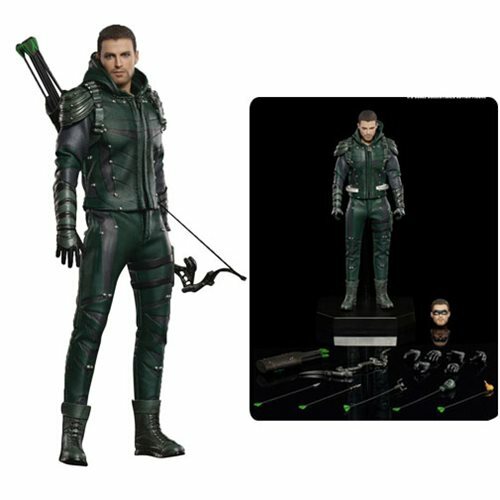 From the popular CW TV show, Arrow, comes this Arrow TV Series Green Arrow 1:8 Scale Deluxe Version Figure. Star Ace's plastic 1:8 scale Green Arrow collectible figure features two head sculpts featuring both Oliver Queen and the masked Green Arrow. Also included is a full quiver of arrows (non-removeable) and an authentically styled battle suit. The deluxe version includes three extra specialty arrows.